S. A .F. E located in Welch, WV provides sober housing for women. 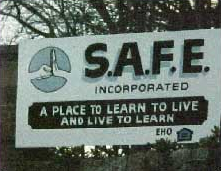 S A F E, Stop Abusive Family Environments Inc, offers transitional housing services to domestic violence victims and homeless women and their children in the Stave of Virginia. Their facility offers housing and supportive services for up to 24 months to those in need that are eligible. Please contact them directly for more detailed program information such as eligibility, availability and application procedures. Do you know how much S. A .F. E charges? Attention We cannot guarantee the sober housing costs to be completely accurate. They are displayed for informational purposes for our users. We have compiled prices provided by users and online research. In order to obtain actual costs please contact S. A .F. E directly.